THANK YOU FS RELOADING ON SUPPLYING GREAT INFORMATION AND U TUBE VIDEOS ON LEE PRODUCTS THAT I USE CONSISTENTLY ALSO YOUR COMPREHENSIVE RANGE OF SPARE PARTS AND INSTRUCTIONS IS SECOND TO NONE....NOEL HACKETT ...OZ..
A solid, dependable tool, the Classic Lee Loader is the most economical way to get started reloading. With one of these handy kits and a little practice you can load up to 50 rounds per hour. 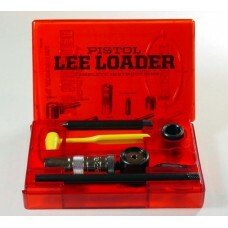 The Lee Loader is a complete reloading kit that fits in your hip pocket. It is a great way to test different loads at the range or make a few custom loads on that next wilderness hunting trip. The Classic Lee .223 Remington Loader has been chosen by more shooters for their first reloading too.. The Classic Lee .243 Winchester Loader has a Diameter .243, 6.17mm. Overall length 2.710", 68.83mm. .. The Classic Lee .270 Winchester Loader has been chosen by more shooters for their first reloading to.. The Classic Lee .30-06 Springfield Loader has been chosen by more shooters for their first reloading.. The Classic Lee .30-30 Winchester or .30 Remington Loader has been chosen by more shooters for their.. The Classic Lee .303 British Loader has a Bullet Diameter .311-312", 7.90-7.92mm. Overall length 3.0.. The Classic Lee .308 Winchester Loader has been chosen by more shooters for their first reloading .. The .357 Magnum Classic Lee Loader has been chosen by more shooters for their first reloading tool.. The .38 Special Classic Lee Loader has been chosen by more shooters for their first reloading tool.. The .44 Remington Magnum Classic Lee Loader has been chosen by more shooters for their first reloa.. The .45 ACP (Automatic Colt Pistol) or .45 Auto Rim Classic Lee Loader has been chosen by more sho.. The .45 Colt (Long Colt) Classic Lee Loader has been chosen by more shooters for their first rel.. The Classic Lee 45-70 Government Loader has a Bullet Diameter .457-459", 11.61-11.66mm. Overall leng.. The Classic Lee 7.62x54mm Rimmed Russian Loader has been chosen by more shooters for their first.. 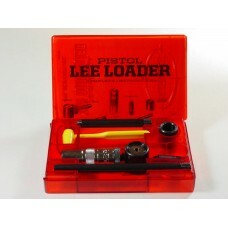 The Classic Lee 9mm Luger Loader has been chosen by more shooters for their first reloading tool tha..